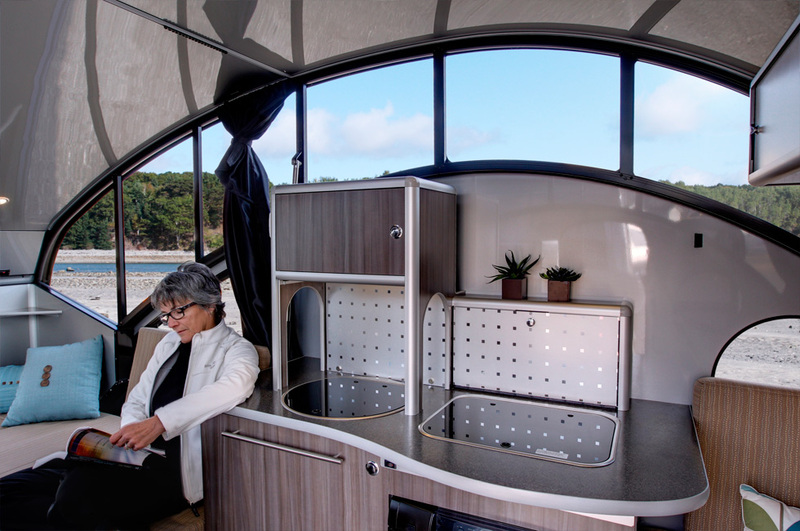 With its high-tech, sophisticated and lightweight design, the Alto caravan takes its cue from modern aircraft design and its interior speaks to European-designed quality and aesthetics. With its high-tech, sophisticated and lightweight design, the Alto takes its cue from modern aircraft design and its interior speaks to European-designed quality and aesthetics. 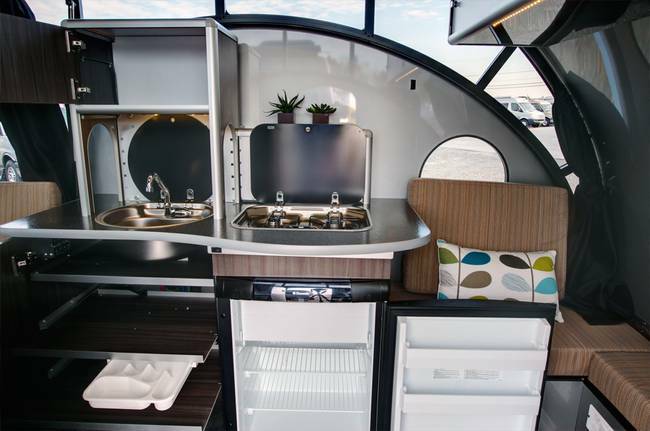 The Alto caravan's superior design, style and sophistication is something that has caught everyone’s attention. Compact, lightweight and built for comfort and adventure, it has everything you need in a small caravan. Entirely constructed from composite materials and aluminium, the Alto caravan boasts a Flexiride independent suspension system and very low centre of gravity that makes it extremely stable and a dream to tow. It's retractable roof is also an innovative feature that floods its interior space with natural light. While the Alto is built to be small, light and aerodynamic, its innovative roof and window design also opens up its inside spaces and helps achieve an optimum roof height. The Alto mixes sophistication and practicality in its design to offer living spaces that can adapt to your changing needs. It includes a smart kitchen perfect for cooking and entertaining, an extendable dining area you can still use when others head to bed, a fixed flush toilet and interior shower that is now the modern essential, two sleeping zones, plus the option of add-ons from rooftop solar panels to air-conditioning and more. The Alto comes equipped with premium safety features, including electric brakes as a standard and an optional intelligent brake-control system, giving you peace of mind when towing on the road. Visit our Melbourne dealership to see the Alto for yourself and get a feel for its compact design, luxury features and the thrilling amount of light in its interior. Curved roof for lower aerodynamic drag. 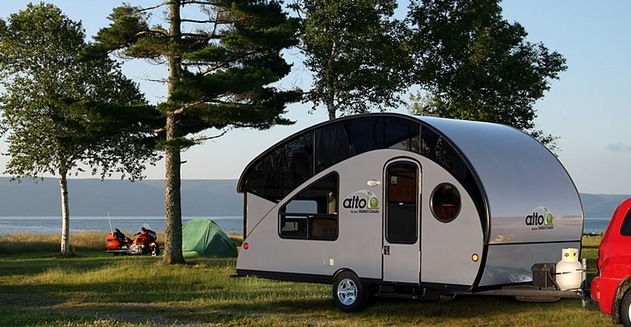 Take a virtual tour of our Alto caravan now. 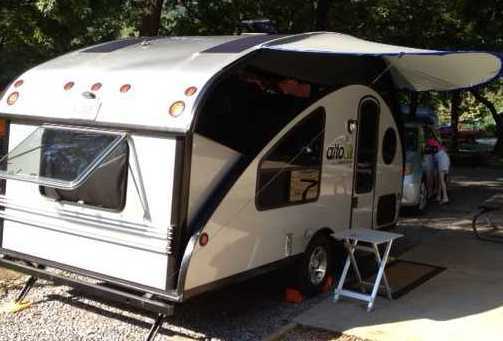 Interested in the Alto caravan? Click the button below to arrange a time to explore this model in our Melbourne showroom.